When you are working through the details for funeral planning, give yourself the flexibility to be creative with the events that are planned. You can stick with a traditional funeral if desired. Or, think outside the box to create a unique, memorable day to cherish and honor your loved one. If you are ready to start the planning process, then you need to talk to our team about funeral and cremationservices in Springfield, NJ. We understand the various details that need to be addressed for memorials and funerals. Our staff at Paul Ippolito Memorial is here to offer the help that is needed during the event and behind the scenes. We encourage you to learn more about the range of options that are offered. You can use this information to create a custom funeral plan that supports your family members in working through the grief and pain. What is the style that you prefer for the funeral services? You might choose a formal event that includes all of the traditional activities and services. Or, an informal gathering could be a better fit for your family. 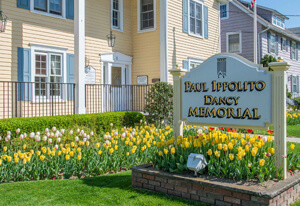 At Paul Ippolito Memorial, we can assist with both traditional and offbeat funerals, memorials, and Celebrations of Life. Our team understands the importance of this event, which is why we are focused on accommodating the needs of your family. The funeral is an opportunity where family and friends can meet together to honor the life that was lived. It is a safe place where people can share memories, talk about experiences, and pay their last respects to the deceased. This service can take place in any setting of your choice. 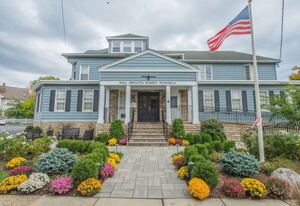 We have beautiful funeral home facilities that can be used to host the events if desired. You are welcome to choose between large gathering rooms or smaller, intimate spaces as needed. Some families prefer to hold the funeral in a church, outdoors, a home, or in a casual event center. If you want to hold the memorial or funeral at an off-site location, then our staff members will be on hand to assist with the support that is required on the day of the event. You will see that the possibilities are endless when you choose a funeral home staff that offers personalized services. We always encourage families to design a service that is unique to the deceased. Our team is gracious and respectful in honoring all beliefs, faiths, relationships, and lifestyles. What guidance do you need when you are planning a funeral? If you aren’t familiar with the industry, then learning about your options should always be the first step. 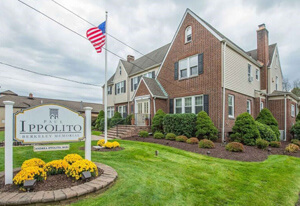 At Paul Ippolito Memorial, we are experts in the funeral and cremation industry in Springfield, NJ. Not only are we always available to answer your questions, but we also provide quite a bit of information here on our website. You can choose the timing when you are ready to learn about the services that are offered. Look through the information that is published. Also, consider the option to use our online planning tool to design a funeral from home. This tool is designed to accommodate your choices in the funeral planning process, making it easy to respect the needs and traditions of your family. If you are reading the information online and questions come up about these services, then pick up the phone to call our office. We’re available to answer your questions throughout the day. Don’t hesitate to schedule a consultation if you prefer an in-person meeting. Additionally, our staff is on call so that you have access to immediate funeral services in your time of need. You don’t need to wait until a family member is gone before you evaluate your options for funeral planning. Consider the benefits that are available from the preplanning services that are offered. Preplanning is a way that you can reduce the burden and stress left on your family after you are gone. This step is an effective way to start the conversation, ensuring that the funeral is planned based on your needs and desires. For example, you can talk to our team if you prefer cremation as an alternative to casket burial. We can also discuss details such as music, art, or poetry that might be shared during the funeral or memorial service.